A ma vie de coeur entier translates as (you have) my whole heart for my whole life. A gentle and trusting sentiment makes a loving vow. 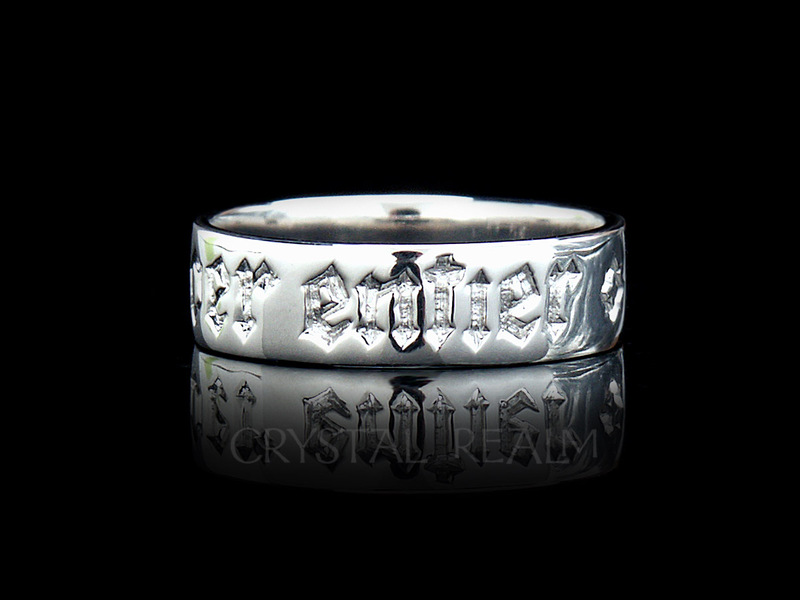 During the Renaissance era, much of British nobility loved the use of French inscriptions on rings – probably for much the same reason that we still consider French to be the language of love today. The original of this ring now resides in Britain’s oldest museum, the Ashmolean Museum of Art and Archaeology in Oxford. Select from whole and half sizes from 5 – 13 (UK sizes J – Z+.75). Band width: 5mm; profile: 1.4mm; weight: 5.5gm. 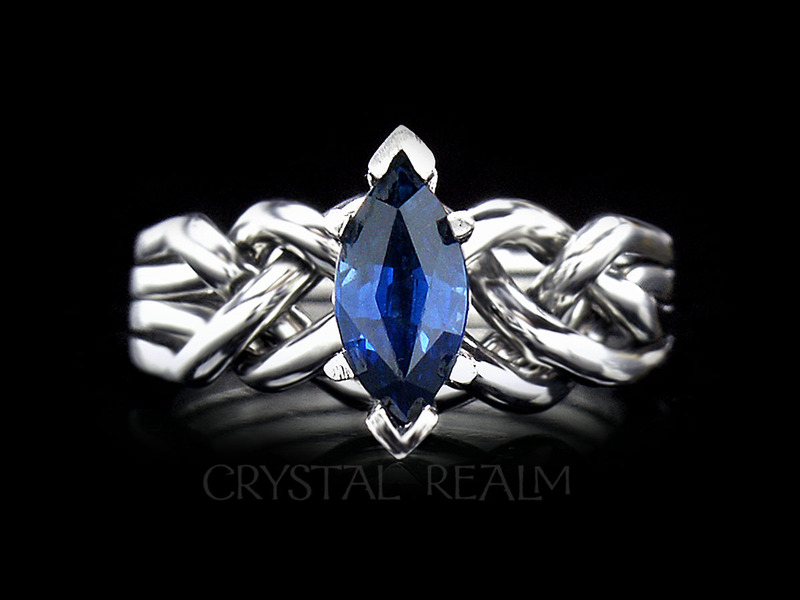 Measurements are approximate and may vary slightly with finger size of ring. 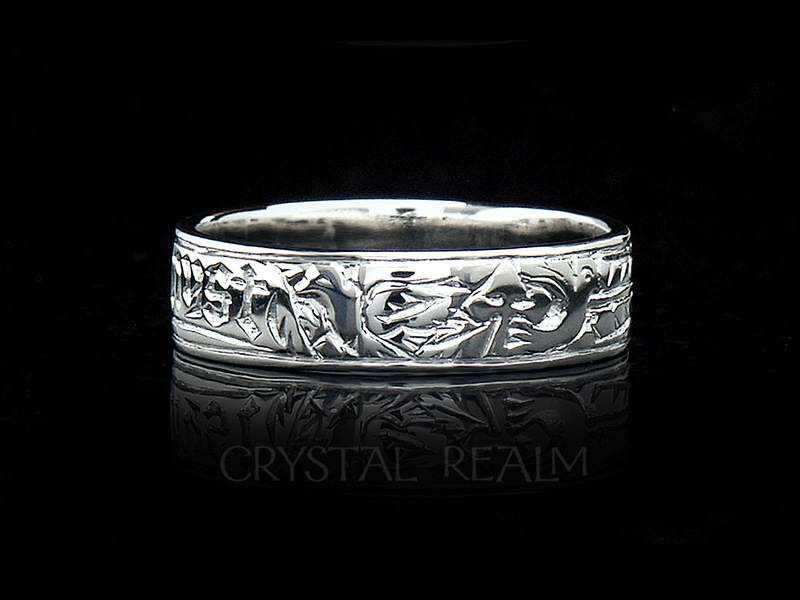 This platinum posy ring has a high polish finish, with a matte finish in the recesses of the lettering and design. 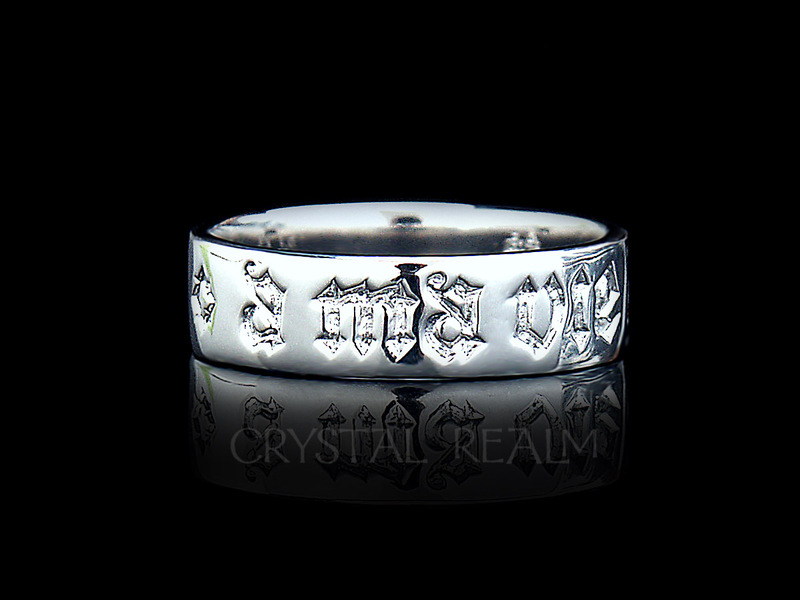 This posy ring cannot be antiqued (darkened), so this ring sparkles with light lettering contrasting beautifully with the highly polished surface of the ring(s). Priced singly. Order two for a pair (choosing one size at a time and placing it in your basket). Includes a history card and a chic ring box. 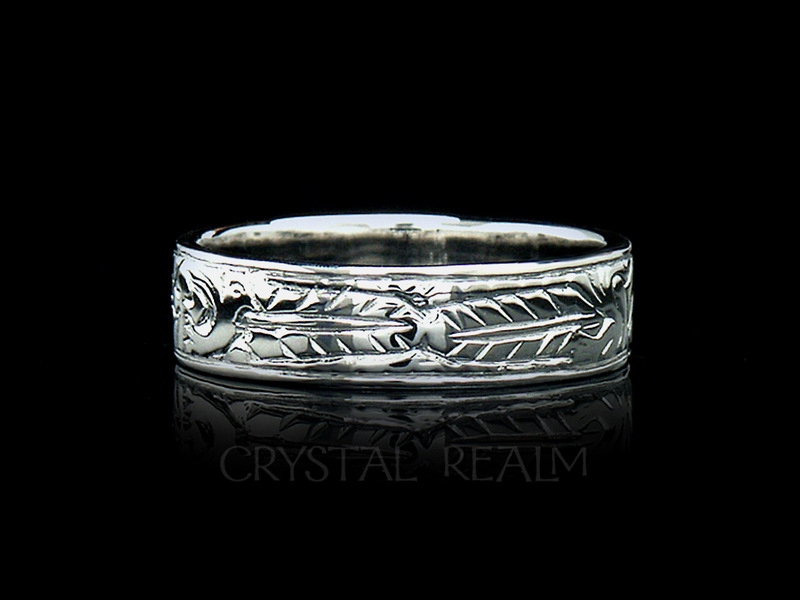 Hand-crafted to your order in the U.S by the ancient lost wax casting method. 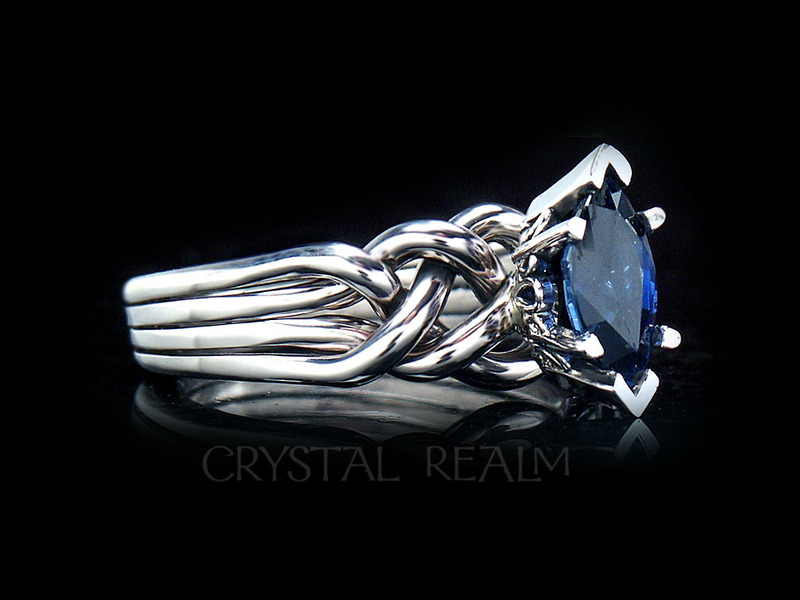 A part of the proceeds from the sale of this ring goes to the Ashmolean Museum, England’s oldest museum. 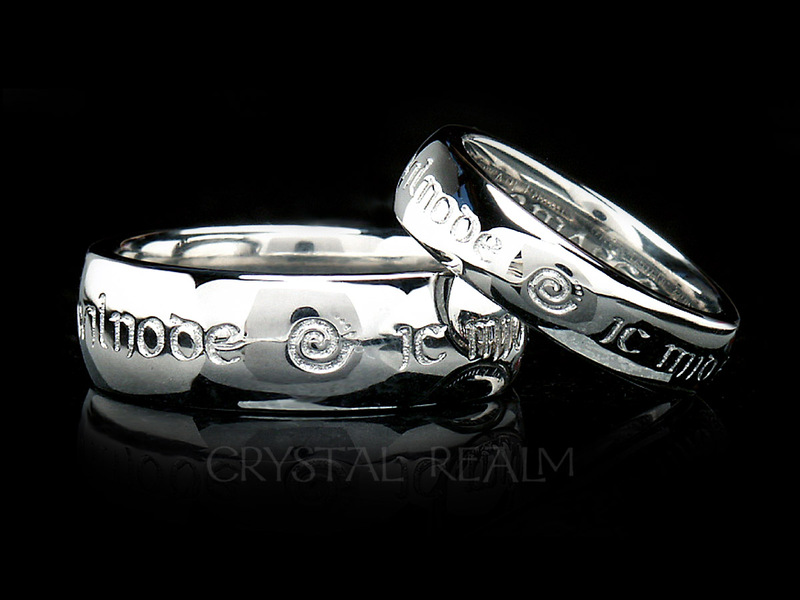 Most poesy ring sizes do not match traditional U.S. or Canadian sizes. Since you want a perfectly fitting ring, and restock fees are expensive for hand-made platinum rings, we go to extra efforts to make sure your ring fits! 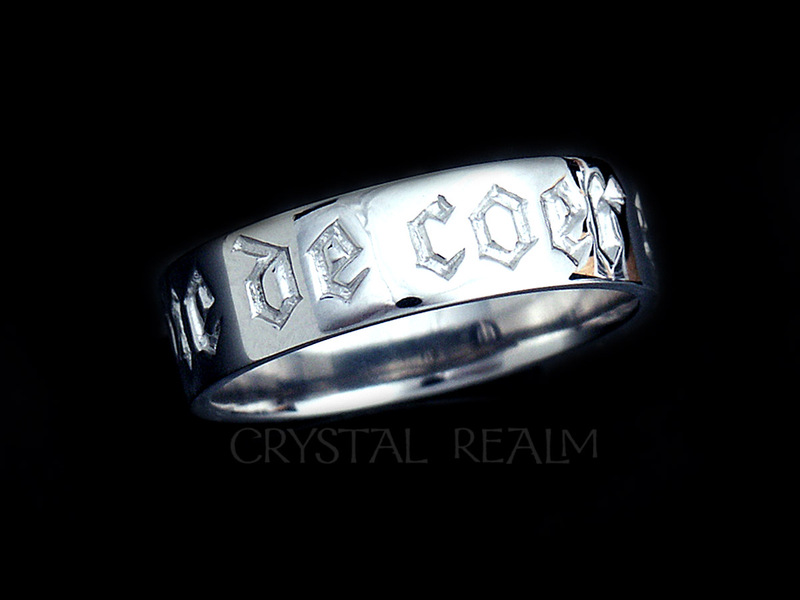 In fact, we have never delivered a wrongly fitting platinum poesy ring. Please collaborate with us. 1. If you know your U.S. ring size, please select your size based on the U.S. size number. 2. If you know your U.K. ring size, please select your size based on the U.K. letter size. 3. 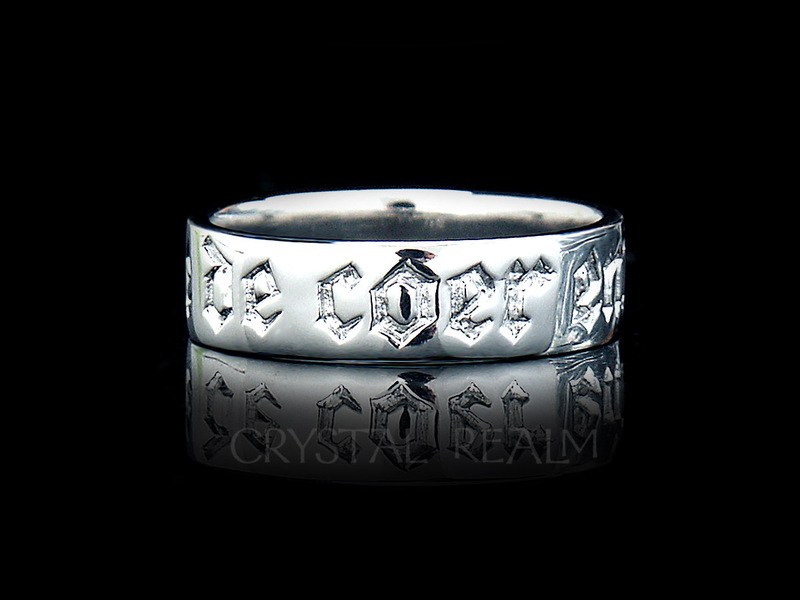 If you are not sure of your size, please order our sizer either prior to ordering your platinum ring(s) or when you order your platinum ring(s). When you receive the sizer, please follow the included instructions and then email us your correct size. 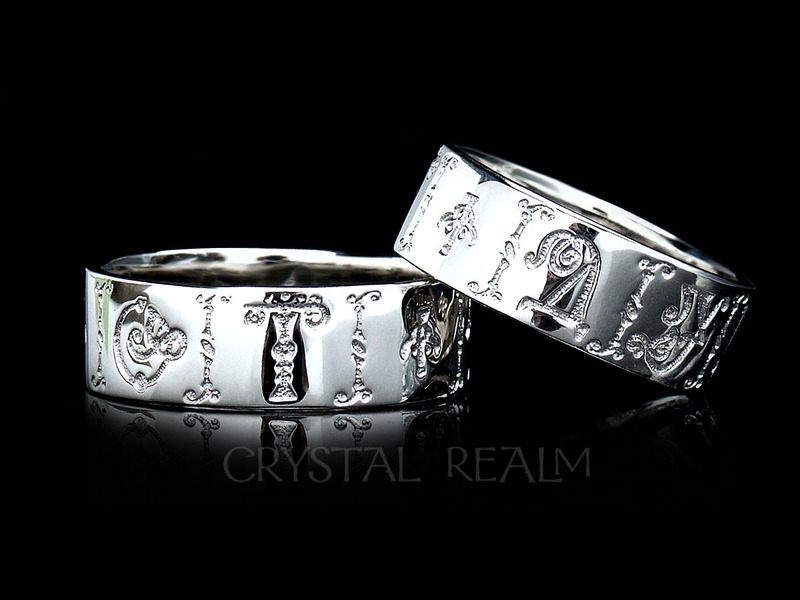 With your size as specified on your order or in an email, we will immediately send a free trial ring in sterling silver in your poesy size. This will be your selected style or one very like it. 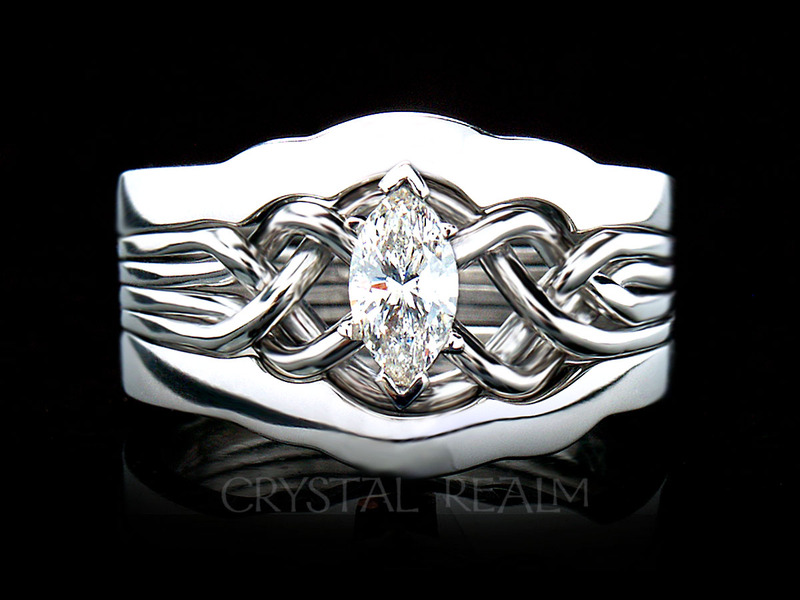 Once you confirm that it fits, we will put your platinum ring(s) into production. You may keep the trial ring. This is a free service we provide for all of our platinum ring clients to assure your perfect fit! 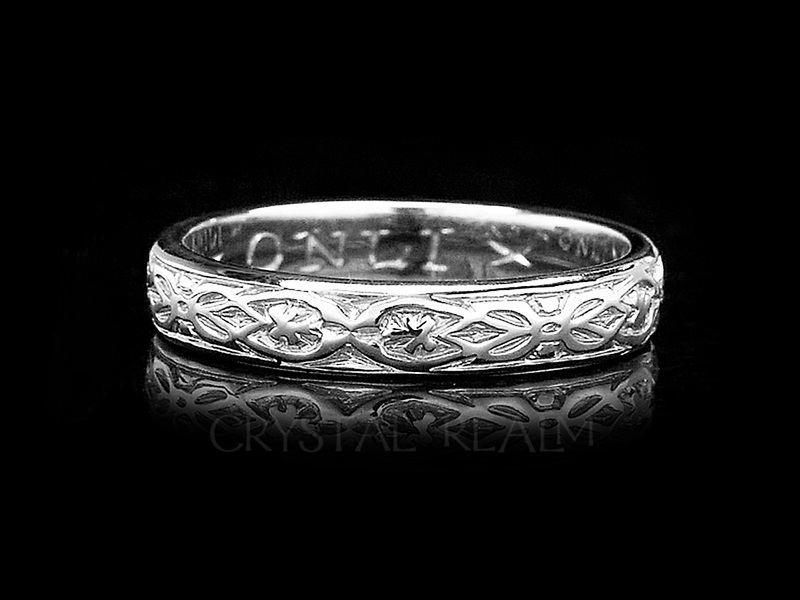 Your platinum posy ring(s) will be hand-made to your order, once we have confirmed your size with a properly fitting sterling silver trial ring. 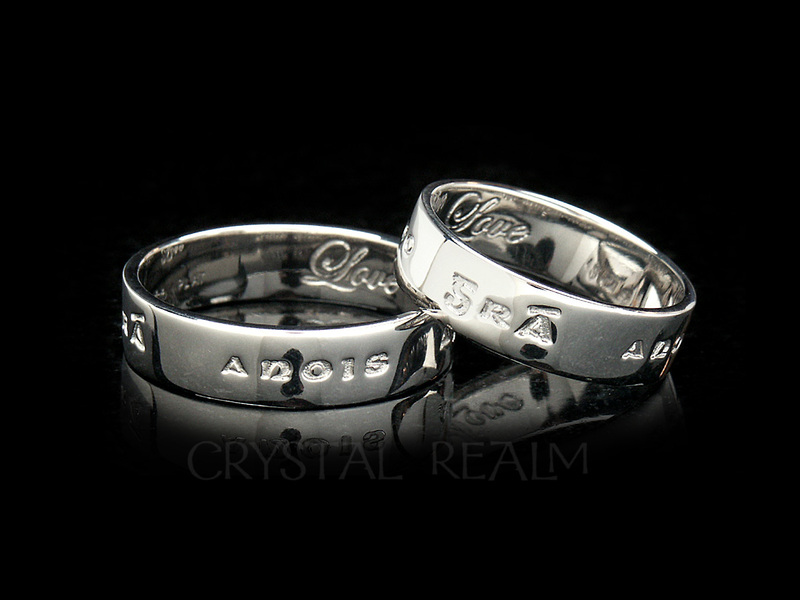 You may expect delivery of your platinum ring(s) five to six weeks after size confirmation. 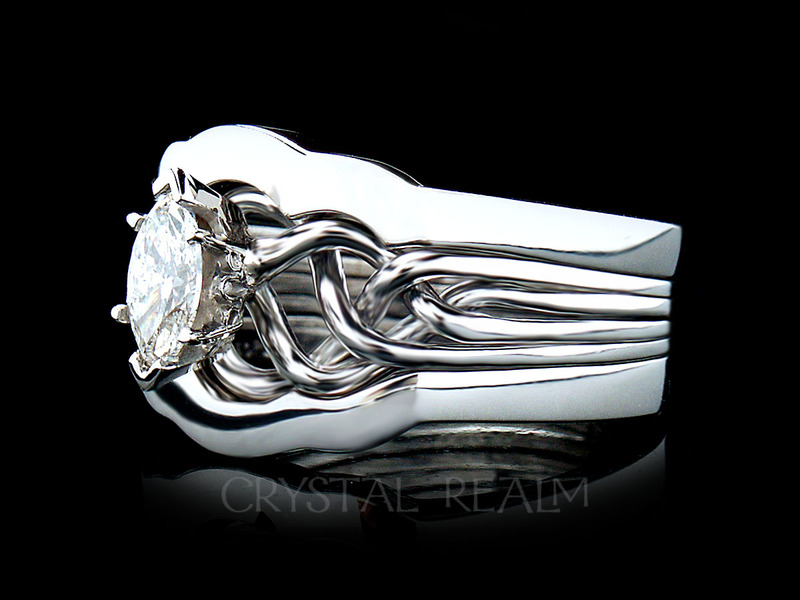 Used our platinum posy ring sizer?